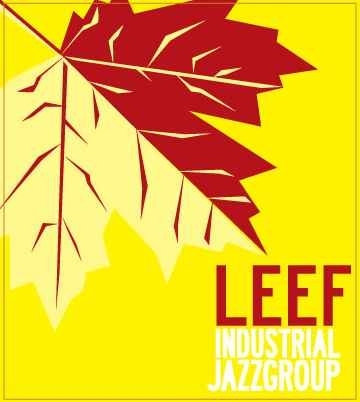 Welcome to the LEEF “liner note page,” part of my strategy for streamlining, vivifying and and greening the Industrial Jazz Group’s CD production process. Consider this blog an electronic version of a 20-page CD booklet. Of course, since it’s digital and all, you’ll find a few other doodads here as well. 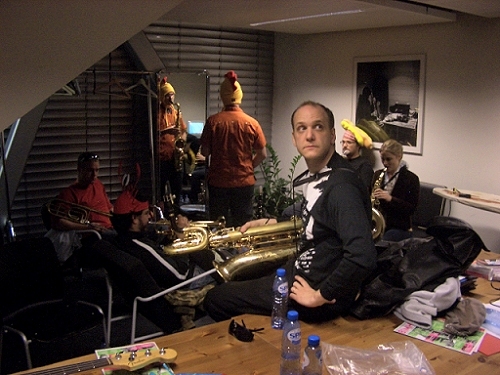 LEEF (the IJG’s fifth “official” album) was recorded (mostly) live in performance at the Bimhuis in Amsterdam, in May of 2007. It was released in March 2008 on the Evander label. Now don’t’cha wish yer traditional paper liner notes could do all that? !